There’s an old Texas saying: “You can’t have a proper funeral without black socks with little cartoon dogs on them.” The problem: The socks are 350 miles away. So Mo and I pile into my natural habitat — a Studebaker — and set out on a one-day round trip from West Texas to the Gulf Coast and back. 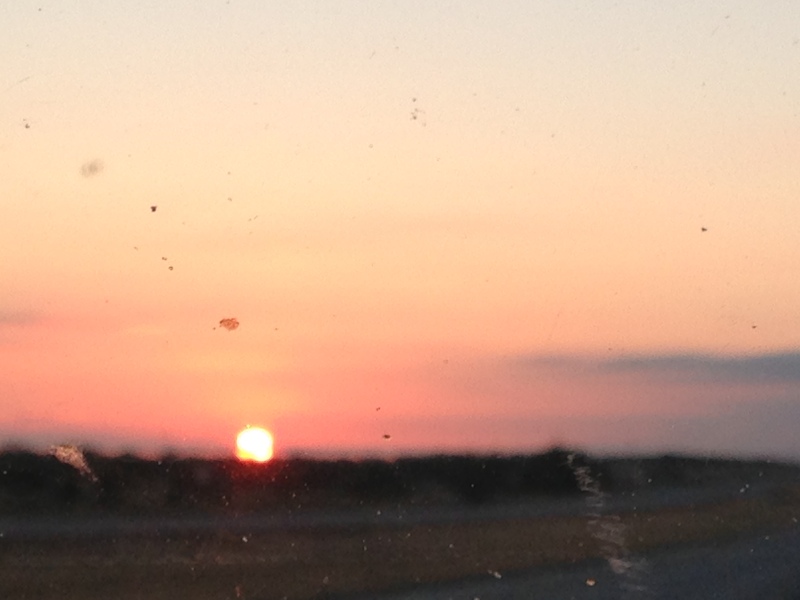 We’re driving nonstop from sunrise to sunset, but I don’t mind. It’s a sad time, and I find that mindless driving is a great way to deal with things. And I haven’t slept for about four days, so driving is a great way to catch up on my sleep. God bless Interstate 10. We alternate between swapping Ma stories and sitting quietly, letting the highway stripes pass by in the familiar progression of mesquites to hill country to salt water. It’s a comforting way to spend a stressful day. Our biggest fear starting out in the morning is the deer on the roadway before sunrise. So we leave just as the sun peeks out. And as it turns out, deer aren’t really a problem. Cows are. The highway is littered with dead cows (does two count as littered?) It looks like a Chick-fil-A airlift gone bad. The road is farm land rather than cow pastures, so I assume they were hitchhiking or driving a Volkswagen like in a Larsen cartoon. How much damage would it do to your car to hit a grown cow? And what if you’re a Vegan? The moral dilemma. We make it home in record time (actually mp3 time), grab black duds and a gray cat and head back. Stormy skies give way to stormy skies, leading later in the days to stormy skies. Mo does most of the driving in this stretch, since she knows the 620 variations of words to describe “rain.” Actually, it’s just the word rain with various expletives insert before it. Those Seattlonians are an odd tribe. Also, she loves to play with the windshield wipers. Things go well enough, and we head into the home stretch. Then, about 11 hours into the 12-hour cruise, Mo downs a Red Bull. OK by me. Then she downs ANOTHER Red Bull. That’s two consecutively. Even for a Starbucks mainliner, that seems like a bit much. I stop in Menard and buy a soda and Hershey bar. Mo, with eyes bulging and the Caffeine Jitters, gently asks, “YOU DIDN’T BUY ME A RED BULL????!!!!!! !” I point out that she just had two. “I’M TRYING TO STAY AWAKE!!!! !” she exclaims. Um, you’re not driving, I point out. You should be asleep. I encounter The Stare. I am scared. And then it happens. She eats half of my Hershey bar. I guess caffeine is where you find it. We drive the last half hour without hitting a cow. Probably because of the loud buzz Mo’s body is emitting. The Baby Kat says whatever and snores. I make a mental note to always keep a pair of black socks with cartoon dogs in the car for an emergency. 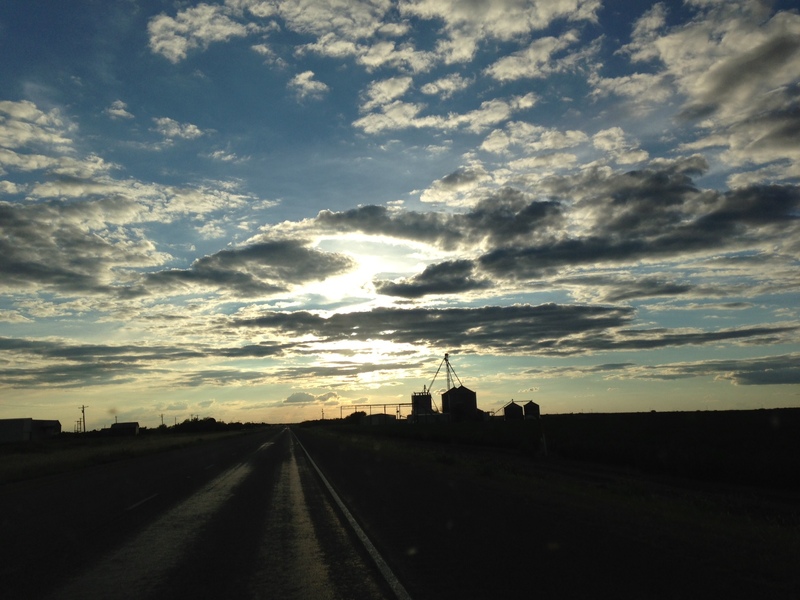 This entry was posted in margarine and tagged life, texas. Bookmark the permalink. This made me smile. Sending lots of love and hugs your way. Thanks nickpickstick. The cycle of life, i guess. Please bring Ben into the world soon to keep it going. Will do my best 😉 Love you guys!